PROSPECTING ON LINKEDIN 3 Steps to Leverage This Massively Untapped Platform for Highly Qualified Leads! For some reason, most people have overlooked the possibility of prospecting on LinkedIn. Unfortunately it’s been to their detriment, because LinkedIn is an untapped goldmine of some of the highest qualified leads, customers, and signups online. And the best part is that you can do it for FREE, with no paid ads. 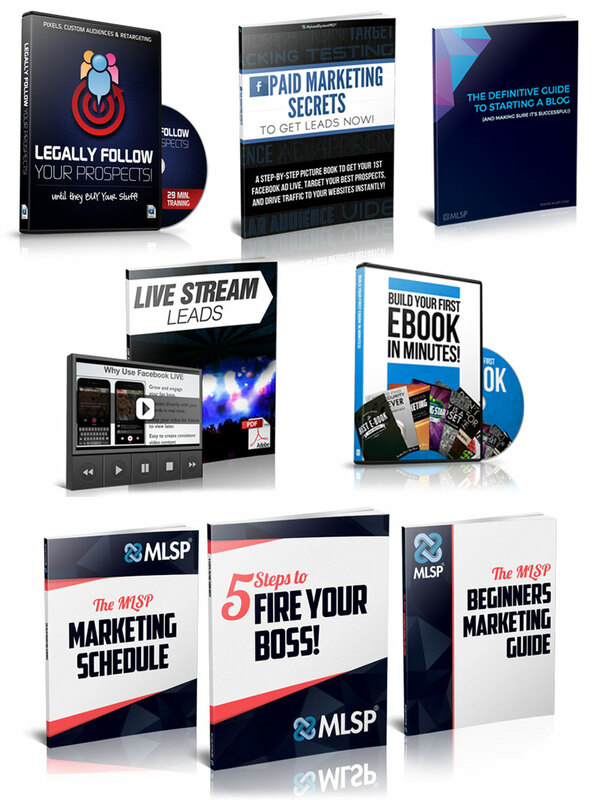 Plus, as you’ll soon see, even if you’re super busy with a full-time job, you can start getting leads and sales in just 1 hour a day. It doesn’t matter if you’re brand new, non-techy, or even if you don’t have a LinkedIn profile yet. This strategy you’re about to learn is working right now for people with no experience, and those who have struggled to gain any traction with their business whatsoever with other methods. You can start getting new leads, more customers, and sign-up new team members on LinkedIn totally rejection free! How to Invite Targeted People to Connect With YOU By Sending Effective LinkedIn Prospecting Messages! While it’s untapped and extremely under utilized by the network marketing and affiliate marketing industry, that doesn’t mean there’s not a ton of hot prospects already waiting for YOU on LinkedIn. There are over a Half-Billion Users on LinkedIn. 40% of those users access the site DAILY. Members of LinkedIn are more affluent than any other network. LinkedIn users have 2X's the buying power of the average web user. There are 87 Million Millennials on LinkedIn. Bottomline...this is a hugely untapped goldmine and it’s only a matter of time before everyone else will be all over it. This is your chance to grow your audience and stake your claim in LinkedIn now! Here’s some really interesting insight from our LinkedIn expert Gloria MacDonald whose strategy you will be learning today! 33% of network marketers on LinkedIn said they were on LinkedIn 5 times or more a week. 33% said they were only on 1 to 2 times a month. When Asked "Are you using LinkedIn to Build your Network Marketing Business"
58% of networkers on LinkedIn are NOT using the platform to build their business. COMPANION VIDEOWatch Below As LinkedIn Expert Gloria MacDonald Shows You Why You Should Learn How to Prospect on LinkedIn Starting Today! 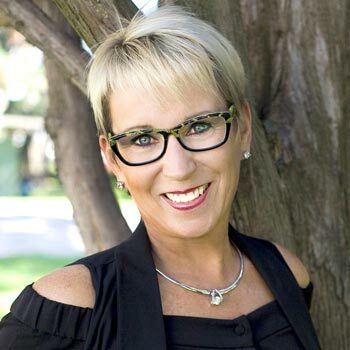 ABOUT YOUR LINKED IN PROSPECTNG TRAINERWho Is LinkedIn Expert Gloria MacDonald? Gloria is a speaker/trainer/author/coach who started her first multi-million dollar business 15 years ago. She’s currently in the process of building her second multiple 7-figure figure business. She’s got clients with six, multi-six, and seven-figure success stories. In her first 5 months she generated her first multiple six-figures of sales with a list of just under 6000. She then went on shortly after to have her first $50K profit in just one month. This is starting from scratch online in only April of last year. As you can see from these LinkedIn stats, and through Gloria’s own personal story, LinkedIn is a bastion of opportunity RIGHT NOW. Watch the Video Below to See Gloria MacDonald’s Story! In essence this strategy is for anyone who’s been struggling with other methods to build their network marketing business. It’s also for those who feel like they’re working too hard but not making enough. And of course if you’ve realized like so many others that creating a warm market list like your upline often tells you to do is the long road to success. LinkedIn is simply an incredible way to start profiting in your business using the attraction marketing formula & principles we teach here at MLSP, targeting prospects that want what you have, and putting your brand in front of a hungry and highly qualified crowd with tons of buying power! It only takes three steps to get the LinkedIn engine running on all cylinders for your business. If you’re a member of MLPS or have been following our philosophy of attraction marketing, you’ll notice the similarities in Gloria’s methodology as well. Check out the T-C-C method below! You MUST target the high quality prospects that you’re after. You must know what your audience wants and needs. This is how you create an atmosphere for the people who are looking for what you have to offer to find YOU! And of course, you want the prospects who are motivated, driven, willing to do what it takes, and are looking for a change. This is where you’ll engage with your audience, and position yourself as an authority to build that critical know, like, and trust. The important thing is that you lead with value. That simply means you educate your prospects with information they’re seeking to reach their goals of growing their business. This is also where you can let them know about and provide useful tools and tips to help them get there even faster! Do not lead with your opportunity, product, or company. Lead with VALUE! Sound familiar? It's attraction marketing! The people you want in your business are already looking for what you have to offer. 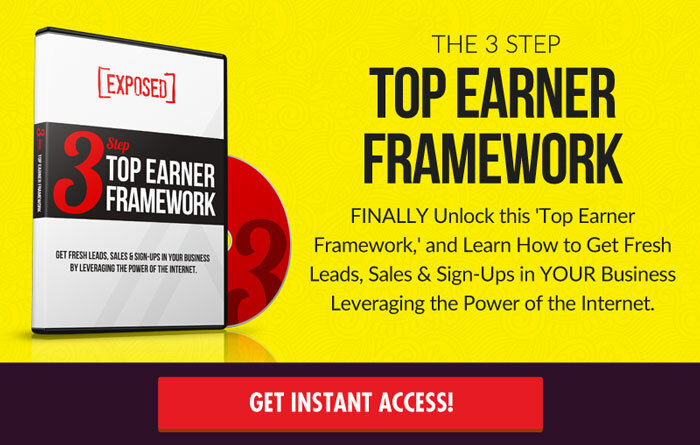 This makes conversions simple, and REJECTION FREE! Because again, people already want and need what you have. Once you build know like and trust, and engage with them, then it’s just a matter of putting the RIGHT OFFER in front of them. CHAPTER 3How to Invite Targeted People to Connect With YOU By Sending Effective LinkedIn Prospecting Messages! Let's take a look at how to invite targeted people to connect with you by sending effective linkedin prospecting messages! Just follow the steps outlined below! When the results show up, there will be a "Connect" button running along the right side of the screen next to each user’s profile. Simply click that button and you’ll be given the option to send a message to these people. You can increase the number of people who accept your invitation by personalizing your invitation with a simple LinkedIn prospecting message that’s clearly been proven to work for Gloria MacDonald and her students. "I just saw your profile here on LinkedIn and I thought I'd tough base. I see you're in (their company, business, group, etc.) I'd love to connect if you are open to it. You can keep this note somewhere like Evernote or on a notepad on your computer, and just copy and paste it each time. Pretty simple right? Next you simply join the targeted groups. Then just like with MLSP’s Build-Engage-Sell philosophy, you'll want to engage inside your new groups by posting valuable content. LinkedIn stats show that you are 70% more likely to get an appointment or an unexpected sale if you are a member in a LinkedIn Group. Yeah I already do that on FB. I run likes campaigns to targeted audiences on Facebook. I post valuable content on my targeted audiences and groups on Facebook, Etc. But as Gloria has figured out through trial and error is that first of all… you have to work a lot harder on FB to get a Qualified Leads, or convert them into a team member. Here’s what Gloria MacDonald has experienced about LinkedIn vs. Facebook…. She has 9X more connections on LinkedIn as she does on Facebook, and has not found one inappropriate comment. LinkedIn serves your posts to MORE people than FB does. So the bottomline on LinkedIn prospects is..
People on LinkedIn are more responsive and show up when they say they will. And because it’s a more affluent and professional platform and atmosphere, prospects are more willing to invest in their businesses! COMPANION VIDEOWatch Below as Gloria Shows How to Prospect in LinkedIn Groups! Just like on other social media platforms, your LinkedIn profile is vital for attracting the right prospects to you! 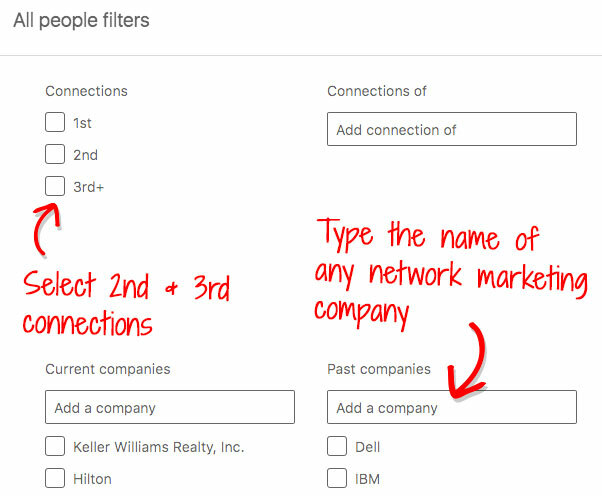 Luckily there are only 5 things you need to pump profits with your LinkedIn profile. LinkedIn rewards you for being thorough on your profile. Not only do they give you 5 stars...but the more complete your profile is, the more LinkedIn will show your posts, articles, and events to your connections and the public. Simple enough. Should you say that you’re in network marketing on your profile? Gloria highly recommends that you keep your profile vague about the fact that you're in network marketing. Don't' blatantly say it. Remember, people aren’t coming to LinkedIn to join a network company. They’re coming to find out how to build their network marketing company or online business. Your profile should indicate that YOU can be the one to help them do that! Here’s what’s really cool about LinkedIn. You can add links directly to capture pages and sales pages. LinkedIn is about business, so they nor the users frown upon using these links. Not Inside MLSP To Take Advantage Yet? = => Start HERE! Don't have a lead magnet or anything to give away? MLSP has tons for you in the back-office under system campaigns. Not a member yet? Take a $10 risk-free trial today! Take Advantage of the Powerful Search Functionality of LinkedIn So More of Your Prospects Find You. LinkedIn has some powerful search functions. They want the right people to find you fast. So you must make sure you're using targeted keywords in all your headlines, titles, and company names all over your profile. That doesn’t mean go crazy and stuff keywords. But don’t leave them out. It’s how your targeted prospects will find you! LinkedIn is so much more than just an online resume. As you’ve seen so far, it’s a highly effective way to get fresh and highly-qualified leads for your business opportunity. And if you want to use it as an effective tool for that, your target market is not interested in your resume or CV. What if your LinkedIn is connected to your full-time job? If you truly cannot change your profile, the simple solution...though frowned up on by LinkedIn...is to create a new profile. You only need a second email address to do so. As long as you’re serving your intended audience, adding value to LinkedIn members, complying with LinkedIn’s rules, you will be fine. Again, LinkedIn is all about business. This is why Gloria recommends that you basically turn your profile into a sales page. What does a sales page do? It gets attention, creates interest and desire, and gets people to ACT! The best way to get people to act is to give them things for free. So you should add FREE OFFERS on your page. You’ll be giving away massive value, giving your audience what they want, and those free offers should lead to sales pages where you can get them to reciprocate by buying! Plus you get a lead for life! Add Media - Include videos in every section possible. You want to keep people’s interest on your profile, and you can do that with adding media that holds them there. Video of course is the best way to grab and hold attention, and it lets people truly get to know who you are. Not to mention it adds visual appeal to your profile. Video marketing is the most powerful tool to move a prospect from cold, to warm, to HOT (without ever meeting you.) This creates know, like, and trust...which increases sales and sign-ups. COMPANION VIDEOWatch the Video Below to See How to Turn Your LinkedIn Profile Into a Prospecting Machine! As a full-time marketer on LinkedIn, Gloria is constantly testing new methods to bring highly qualified prospects into your world. Here are a couple of the newest things that have been working like gangbusters for her and her business! 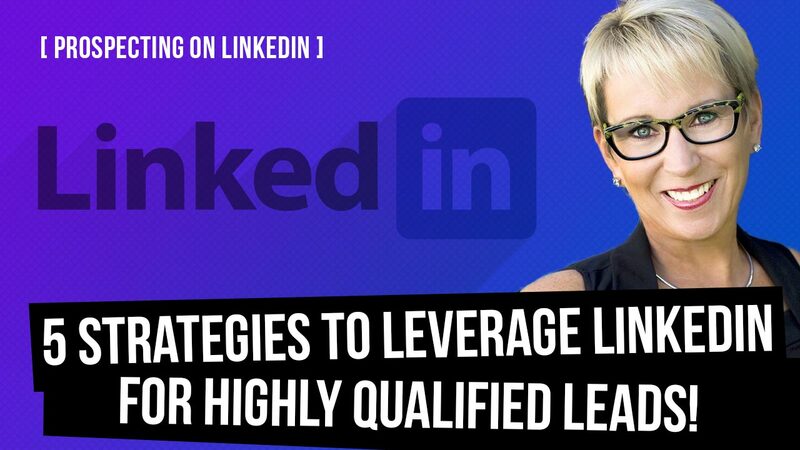 Watch Below As LinkedIn Expert Gloria MacDonald Reveals Her 2 Newest Ninja Tricks to Get MORE Highly Qualified Prospects and Leads from LinkedIn! You’ll go to your search bar, and when you click inside the search bar, a drop down menu will appear. 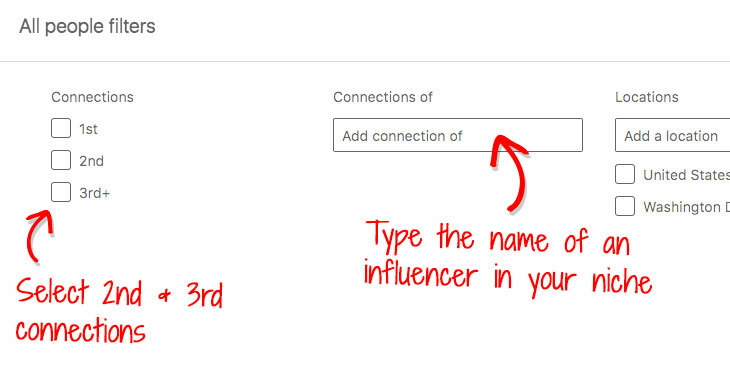 This will take you to a screen where you can choose the influencers who’s connections you want to find and connect with. Type their name in the “Connections of” field. You can then check the boxes of 2nd and 3rd connections, and in whatever location you want to use. Click “Apply” and their connections will come up! You can then follow the same procedures to connect with them by hitting the “Connect” button, and sending them a short message as instructed above. IMPORTANT NOTE - We CAN NOT STRESS THIS ENOUGH: SERVE your intended audience, ADD VALUE to LinkedIn members, and comply with LinkedIn rules. JUST BE COOL! This is a great way to find people who USED to be in a certain network marketing company, and for whatever reason they’re not anymore. These are clearly people interested in the industry. Go to the same "advanced search function" found under the “All Filters” button like you did above. Search "Past Company" buy adding the name of any network marketing company. Click the same “2nd and 3rd Connections fields” as before. When the results are listed, you invite them to connect and again shoot them a message saying something like: "I see you were ______ company. I'd love to connect." Once they accept your invitation, you can send them a link to a free gift and ask them if they're still open to the network marketing industry. If you’re thinking this is going to take up too much of your time, you couldn’t be more wrong. In fact, as promised above, you’re about to see how you can start getting new prospects, leads, and sales in just an hour a day! You already know exactly how to do this from above. Now it’s just a matter of taking daily consistent action. And it only takes about 10 minutes (or less) to send 25+ invites. This will lead to you potentially connecting to 175 new people per week. Of course not all will accept but that’s okay, because you’re consistently inviting. QUICK NOTE: If you’re starting a new account, or haven’t been sending invitations to connect in a while, then you’ll want to go a little slower on these in the beginning. There’s a chance that LinkedIn could see your activity as spamming. Just take it slow for a while, until LinkedIn realizes that you’re legit. Now you have new connections, it’s time to engage with them. You can send a simple copy and paste "Thank you for connecting" message to all your new connections each day. Of course that message should contain value and an offer to a FREE Gift (Lead Magnet). When someone has a work anniversary, gets a new position, or has a birthday, you’ll want to reach out and congratulate them. LinkedIn will notify you when this happens. Just each day go to the notifications tab at the top, and LinkedIn makes it easy with a button to say congrats. This should only take you about 15 minutes or less a day! Remember, a very small portion of LinkedIn users are posting content. This gives you a huge advantage to stand out from the crowd in a big way. It only takes 2-3 Posts Per Day! 1 VIDEO - You can Download a FB Live to your computer & upload it into a post on LinkedIn. Or use the LinkedIn App on your phone to record a video that you upload specifically for LinkedIn. It’s up to you, but it’s simple, and will reap you huge benefits. 1-2 "ARTICLES" OR POSTS PER DAY - For this Gloria often uses an email that she’ll copy and paste to make it a very short article. Or you can simply copy a blog Post into LinkedIn to make it an article. Articles are powerful because LinkedIn uses a ton of their search engine functionality to promote articles. Remember LinkedIn loves valuable content, and you’ll be rewarded by providing it. Posting is simple. If click the ‘Home Button’, the first box up top is where you can post your article, your video, a photo, etc. The biggest mistake that people make on LinkedIn is thinking that they can do the same activities as they do on Facebook. However, LinkedIn is all about business. People are not there to be entertained the way they are on Facebook. CONCLUSIONYou’ve Just Seen How Prospecting On LinkedIn Can Absolutely Change Your Business Forever! You can do all of this with JUST the FREE VERSION of LinkedIn alone. No reason to upgrade. Better yet, you can do it without paying a dime for advertising. 100% free leads and therefore every penny goes into your pocket as pure profit. Gloria made 6 figures (in profit) all on LinkedIn without paying a dime on ads. LinkedIn gives you a unique opportunity to stand out from the crowd in front of some of the most qualified prospects you’ll ever find! Now it’s up to you to take action and set your LinkedIn lead generation on overdrive, and explode your leads, sales, and sign-ups in YOUR business! ACKNOWLEDGEMENT: We want to acknowledge and honor our friend Gloria MacDonald for providing the trainings above so that we could serve YOU, our beloved audience. Gloria is one of the brightest minds in the industry and we are honored to have her provide this level of value to help the MLSP Community get better and better every single day! Got value from this post? Have your own thoughts? Think we need to add anything here or just want to give Gloria MacDonald props? Just read and watched the training for the LinkedIn Formula. It is awesome! I have been on LinkedIn before so it’s going to take extra effort on my part to set it up, but I can do it! Thanks again! Awesome – we’re glad you found value in learning how to prospect on linked in! Thanks for stopping by.